It’s hard to believe it’s been two years since I started giuliettas.com. It’s mostly been a lot of fun-to-do yet challenging work and I’ve had my productivity issues, my ups and downs of mood, funds and time, but through it all I have kept my momentum, mainly through the encouragement of the friends I’ve made through comments and emails… they get me through the days when I wonder what I am bothering to do this for. I renewed my domain name, paid to have it link to the site and am due to renew my Flickr pro account next week, so rest assured, you will be able to enjoy another year of giuliettas.com. I enjoy movies set in Europe in the 1960’s where they have real street scenes. I watched ‘How to steal a million’ with Audrey Hepburn and Peter O’Toole the other night and the street scenes were amazing. I was reminded I haven’t been featuring video’s in a while and it brought to mind this video. I know, you’ve seen this before but paying close attention to the details will get you thinking. If you’ve never seen it watch it before you read the comments after it. I’ll be at the Concorso Italiano with Brian in his Junior Z tomorrow so say hello if you see me wondering around. Below are some recent pictures I got in emails. The Sprint appears to have been the meat in a Semi pile up sandwich. 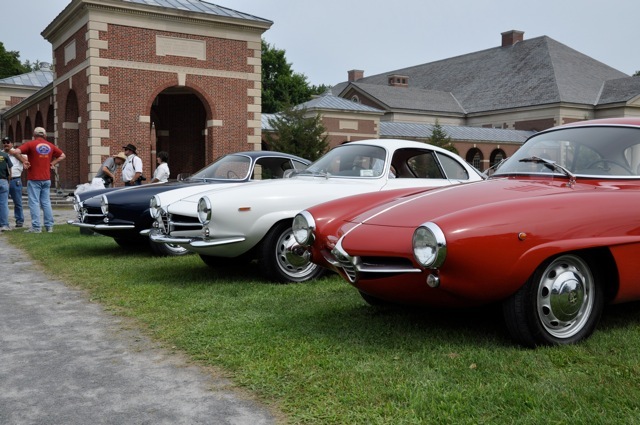 The SS’s represent the full spectrum: Low-nose, Giulietta and Giulia. My wife will be at Tiki Oasis in San Diego selling her hand-sewn children’s Hawaii inspired clothes. If you see her there tell her hi for me. Remarkable only in that it still exists at all. There is probably $1000 worth of bit to be had off of it. I want a low nose SS. I’ll take the bumpers off and drive it like I do my Sprint: daily and with joy. Did I mention I was watching Dr. No and in the airport parking lot scene when the bad guys pull out they are parked in front of a Giulietta Spider? I’ll be back on the TI on Saturday if anyone wants to come by and help rebuild the steering box and install it. Giulia Spider 1600 101.23 AR373862. This car was on eBay ended at $15,776 with 20 bidders on 12/20/08. I imagine (or at least hope) it’s under the knife right now. I think this was a decent deal considering everyting is sorted except the accident damage. Values seen to have come down a little since then so I expect this would make maybe $13,000 now. It’s like two-face from what was it Batman? 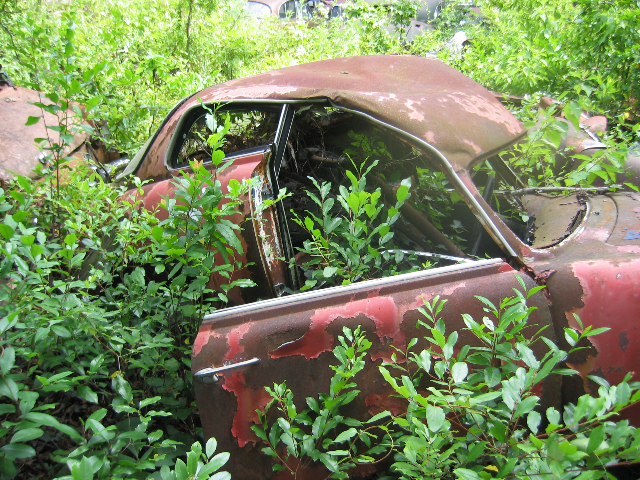 Looks like it was a nice car.